Between the hours of 3:45 a.m. and 4:10 a.m. on Monday morning, bananas with the words "AKA" ― the abbreviation of the historically black sorority Alpha Kappa Alpha Sorority, Inc.― and "Harambe" ― a reference to the gorilla killed by Cincinnati Zoo officials in 2015 ― were hung in nooses found in three different locations on American University's campus. It was not until images began to circulate on social media that the American University Office of Campus Life sent out a mass email at 1 p.m. stating the following: "The safety of our students is paramount." However, many were angered by the fact that the student body not only received an email approximately seven hours after an incident that directly threatened the safety of black students, but was not alerted via the AU Alert system. The President’s Council on Diversity and Inclusion hosted a town hall in Kay Spiritual Life Center earlier on Monday afternoon, in which one student asked the Executive Director of Public Safety, Phillip Morse, "Why doesn't the AU alert system include hate crimes where students and groups of students are being threatened?" Many have called for not only the exposing, but the expulsion of those terrorizing the black community on campus. Following the fall 2016 banana incident, American University’s administration never issued a statement regarding the status of the two young men found guilty. This action, or lack thereof, is what has left the community in fear and given racists the confidence to continually harass black women at AU. Approximately 45 minutes into the town hall, students staged a walk-out. Fists thrust into the air, black students and allies marched from Kay to AU Central to demand withdrawal forms. At least 100 students flooded the office in a proud display that they would not continue to financially support an institution that does not continually support their safety and well-being. Eighty-four percent of the issues AU Central deals with are related to financial aid and billing, said Jonnel Clothier, director of AU Central. She said this was the first time she had ever seen so many students request withdrawal forms at one time. 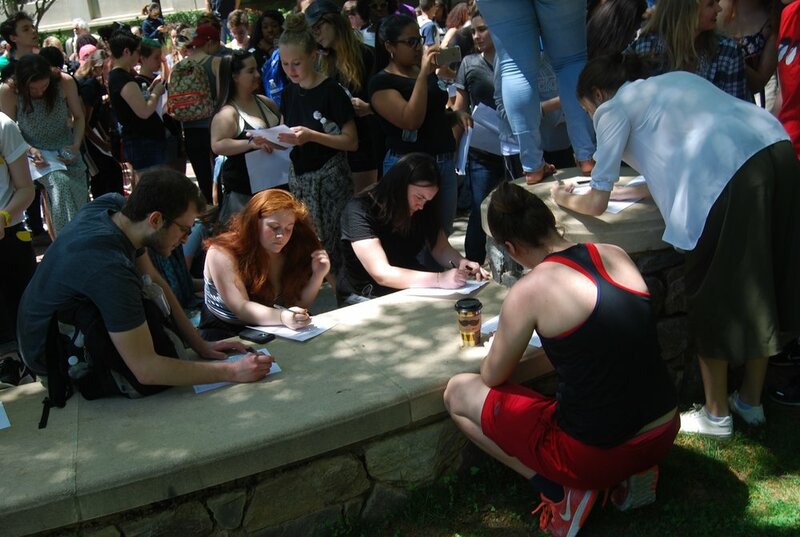 The demonstration also attracted students outside of the American University community. “I wanted to come support and fight with my black brothers and sisters,” said Shelton Eley, family science major at The University of Maryland, College Park. 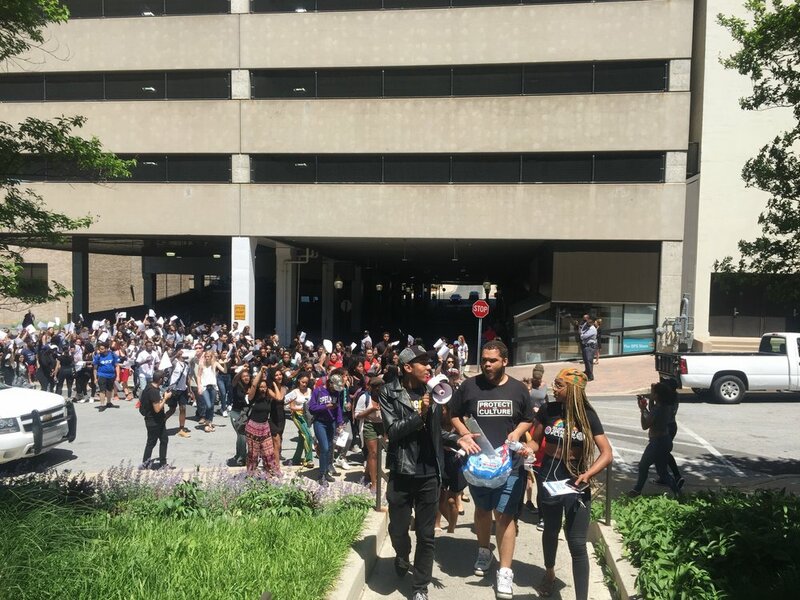 “Being a student at a predominately white college, I’ve also experienced these situations.” Eley said last summer he was at a graduation party that was broken up by University of Maryland police. “When the police arrived, they came in full force. They came in trying to attack. None of us did anything, none of us hit them, none of us said anything, but they came out and started macing everybody and things like that.” The majority of the partygoers were black. “As a black woman, of course I was frustrated, I was angry. I was saddened that we live in a time and place where this stuff is continually happening,” said Lisa Freeman, director of Residence Life. Freeman stressed the importance of making connections with those who are different, and making sure that that ideology translates into the residence halls. Since the town hall and demonstration, AU has released surveillance footage of the suspect hanging bananas outside of the McKinley Building and the Mary Graydon Center. The university is also offering a $1,000 reward for information regarding the suspect’s identity. Below is the collective statement and list of demands made by American University’s Diaspora clubs organizations on campus. 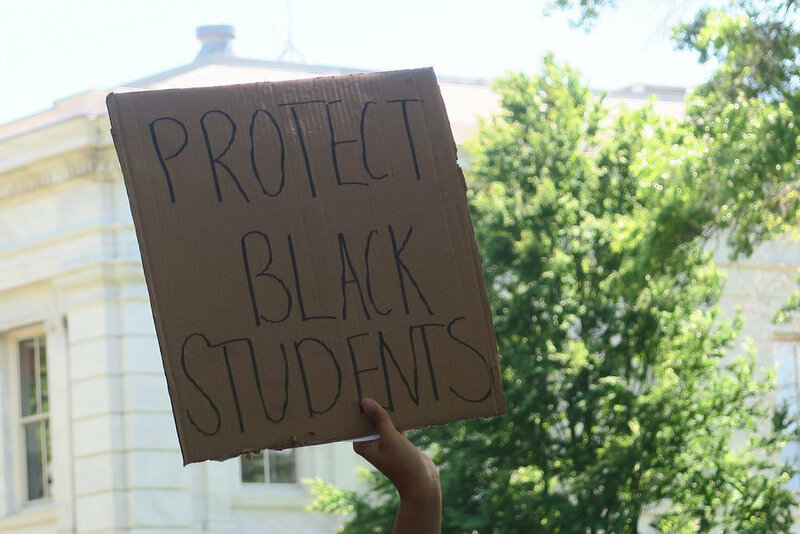 The Blackprint stands in support of the actions taken by AU’s black community to secure the reassurance that their safety is the primary goal of the University’s administration. We call on the university to consider the demands listed by the Diaspora organizations and clubs on campus. We ask that not only there be subsequent actions taken against those who continually terrorize the black student body, but that there is increased transparency in their removal process. 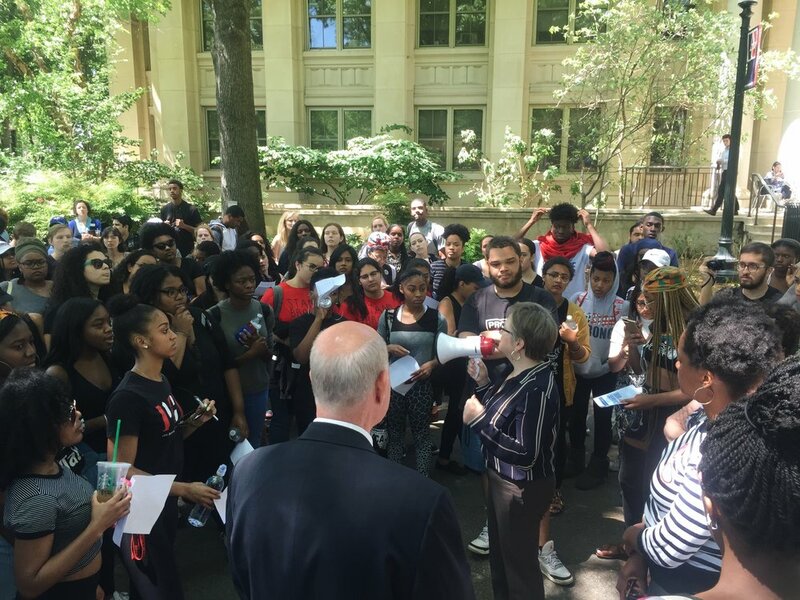 American University's administration has cancelled a meeting with black student leaders concerning their demands scheduled for 10 a.m., according to black student leaders. The FBI has joined the investigation. "DAMN." Review: "Kendrick Raises the Bar, AGAIN"